Topic: What does it mean to “crush“? Chuck Roy hosts a Comedy101 Member Meeting to discuss how to coach and evaluate crushing your set. Please, click here for the event page. A 1-hour webinar to discuss. 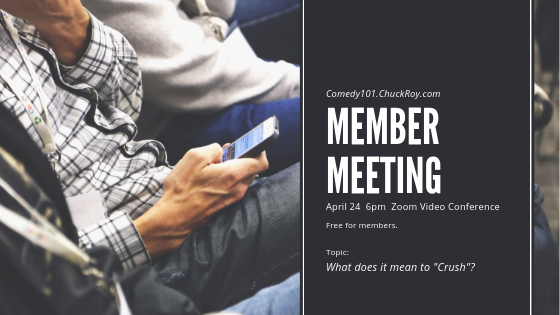 Find out more about the Comedy101 Member Meeting.